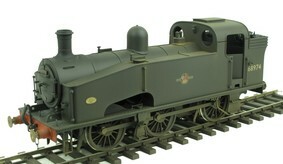 A ready to run model of this versatile engine. Finished in in black and professionally weathered to the highest standards by TMC including weathering, rust and staining.. Real coal load, cab detailed and glazed. Choice of numbers for immediate delivery.